We went camping this weekend, just for a night. And yes, I'm 38 weeks pregnant, and camping wasn't really the first thing I had in mind for our weekend plans. But the Cowboy promised he'd take care of everything, and he did... cuz he's truly quite wonderful like that. 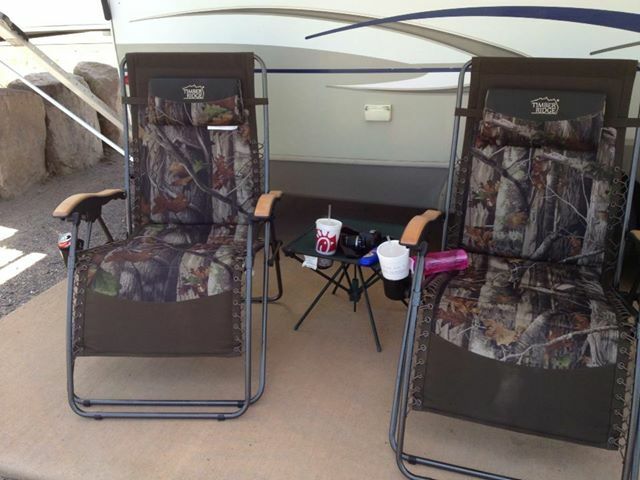 Before he came home on Friday, he stopped by Costco and picked up two new camping chairs for our over night getaway with the fam. They are the epitome of a pregnant lady's dream chair. They have cup holders, and a built-in pillow that fits perfectly behind my neck. They're awesome I'm telling you. And once our site was all set up on Saturday morning, the kids took off around the small loop on their bikes, the Cowboy poured me an ice cold lemonade, and we plopped ourselves down in these glorious chairs and for the next two hours we laughed so hard that I thought I might have this baby right there and then. Or maybe it would be more accurate to say that I laughed so hard that the Cowboy just might have been laughing at me laughing. There's all kinds of seasons in a marriage. And I love the ones that bring God-sized joy between my Joey and I. We have many small children, and bills to pay, and just this past month there have been four broken windows here at the farmhouse. Our home is full and loud and there are meals to be made and messes to clean up all-day-long. There are hearts in need of constant training and siblings in need of encouraging words. And in the midst of it all the Lord has graciously given my man and I a great great joy. We've been together nearly 16 years. And on a weekend in late summer, I'm round and puffy, and sporting my glamorous maternity bathing suit, and my Cowboy still looks over at me like he did when we 18-years-old. Love... who knew it could be captured by deep-belly laughter and two really great camping chairs?